What makes a man like Muhammad Ali? After Muhammad Ali won a gold medal for the United States in the 1960 Olympic Games, he returned home and was refused service at a “whites only” diner. Enraged, Ali left that diner and hurled his gold medal into a river. Muhammad Ali is not remembered for his rage. But perhaps he should be. All of the retrospectives I watched after his death focused on his generosity, his playfulness, his poetic trash-talking, his supersized personality, his joy in living. 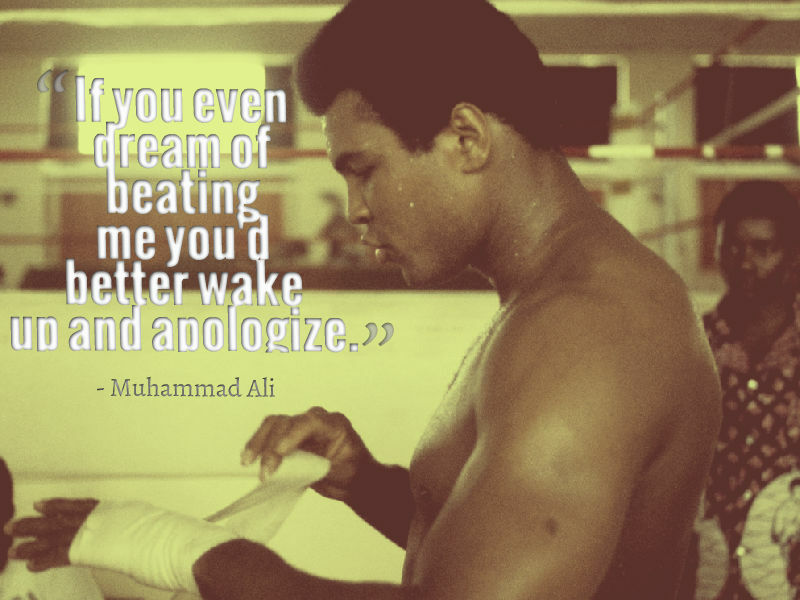 But Muhammad Ali was a fighter, in the ring and out. And I can’t help but think that the rage that Baldwin says lives in every African American, wasn’t the fuel for Ali’s fire. When asked in an interview what Ali wanted to be remembered for, he responded, “That I never turned my back on my people.” Indeed, Ali was a black activist who in his twenties was not so beloved. He was radical and outspoken—rejecting his “slave name” of Cassius Clay for the name given him upon his conversion to Islam. He refused to be drafted into the Vietnam War, calling it immoral, saying he had nothing against the Vietnamese, and that all the war was about was “kill, kill, kill.” He took this fight all the way to the Supreme Court. History would reveal Ali to be ahead of his time, a man of conviction who was willing to fight indignities and injustices that others were not. Baldwin referred to his rage as a chronic disease, but this was not to imply it was ill or unwanted. In fact more of us could stand to contract such a disease—or at least a dis-ease with the injustices to which we bear witness. Mohammed Ali’s legacy will best be honored by those who are fueled to fight such injustices and become the champions we so desperately need. James Baldwin, Notes of a Native Son, (Beacon Press, Boston, MA, 1955), pg. 96.